Dr. Mohammad Firdaus Abu Hashim is a senior lecturer in the Faculty of Engineering Technology at Universiti Malaysia Perlis (UniMAP), Malaysia where he has been an academic staff since April 2017. Dr. Mohammad Firdaus Abu Hashim completed his first degree in Materials Engineering with honors in 2012 and received his PhD degree in 2018 from University Malaysia Perlis in Materials Engineering with distinction. His current research is focusing on geopolymer as a filler in the composites/thermoset system. This new form of materials with geopolymer materials with cement characteristics proposed several economic benefit, durability, good mechanical properties, less water absorption, and fire and heat resistance, where he published a quite number of technical papers in indexed conference proceedings. Since 2013, he becomes part of the research team of Geopolymer Group under Center of Excellence Geopolymer and Green Technology (CeGeoGTech) at UniMAP which focused on geopolymer material as a filler in composites system which in piping materials. 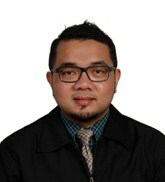 Dr. Mohammad Firdaus Abu Hashim has become one of the member of Board of Engineers Malaysia (BEM) and became graduate technologist in Materials Science Technology from Malaysia Board of Technologist (MBOT). The effect of different weight percentage of geopolymer filler in glass reinforced epoxy pipe at which can achieve the best mechanical properties and adhesion between fly ash-based geopolymer matrixes. The glass fiber was impregnated with different weight percentage and different molarity of fly ash-based geopolymer and epoxy hardener resin. Composite samples were made manually by filament winding technique and cured under room temperature. The sections perpendicular to the fibers and surfaces of the composites were analyzed by means of scanning electron microscope to estimate the adhesion between geopolymer matrices and fiber reinforcement. Relatively, wide range of geopolymer weight percentage from 10 % to 40 % at which can obtain high compressive properties, maximal values of compressive strength is 94.64 MPa and compressive modulus 2373.58 MPa for the sample with 30 % weight percentage of filler loading. Adhesion of the geopolymer matrix to glass fiber was very good and hardly to determine the differences by scanning electron microscope image observation within the range of optimal geopolymer filler content. The higher percentage of geopolymer filler in glass reinforced epoxy pipe was too abundant to provide the suitable viscosity and workability before it had been totally homogenous, this factor caused that it should be carried out in the future to determine how many cavities are in the composites. Determining the optimum weight percent and microstructure of fly ash-based geopolymer filler will make it easy to find the maximum strength to get the best properties of this type of materials. 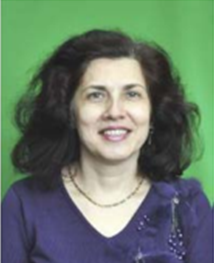 Prof. Rodica-Mariana ION, Ph.D., is Full Professor of Nanomaterials at Valahia University, Targoviste and Head of Cultural Heritage Research Group ICECHIM – Bucharest, Romania. Author of 275 publications (Hirsch index=24 (Google Scholar), 19 (Scopus); 20 books/chapters; 23 patents on nanoparticles applications on conservation/ restoration of mural paintings, stone surface, paintings, books, wood churches; experize in scientific analytical investigations of artifacts, photochemical ageing processes and weathering mechanism. She is involved in international projects (Method based on nanomaterials for conservation of paper and wood artifacts, Color and Space in Cultural Heritage) and national projects (Innovative techniques and materials for preservation / restoration of stucco and decorative elements of masonry in patrimony buildings, New diagnosis and treatment technologies for the preservation and revitalization of archaeological components of the national cultural heritage, Technologies based on nanomatdrials for conservations and restoration of different monuments, as Corvins’Castle, Adamclisi, Roman Mosaico, so on). Some samples from the towers of the Corvins’Castle, Hunedoara, are analyzed in order to identify the provenance of the raw materials and weathering / deterioration processes. Modern analytical techniques, as XRD, FTIR, Raman, SEM-EDS, colorimetry, porosimetry are used to evaluate the structure and chemical composition (quartz, mica, dolomite, feldspar and plagioclase as albite and microcline minerals). Some minerals similar with apatites have been evidenced being responsible for the consolidated resistance structure inside of the towers. 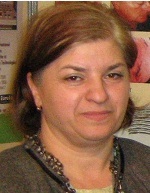 Brândusa Ghiban is full professor at Department of Metallic Materials Science and Physical Metallurgy, at University Politehnica from Bucharest, with the competencies in the field of plastic deformation of materials, heat treatments, physical chemistry of metallic materials, Physical Metallurgy, The theory of structural material properties, corrosion, with the ability: to assimilate knowledge and theoretical knowledge of the constitutional structure, structural transformations and properties of advanced materials for general use and special purpose, knowledge of constitutional and structural effects of technological processes by which the shape and properties of metallic and nonmetallic final product are made, knowledge of scientific bases of dependencies between structure and properties and structure influence the behaviour of metallic materials in use and under the mechanical action, chemical action of the environment, temperature and radiation, to carry out projects related to the development, characterization and performance testing of materials and interdisciplinary projects in the field materiology. Brândusa Ghiban is expert for the European Community Brussels on FP7 projects and the Commission of Steel and Coal, member at the Board of Directors of the Institute of Rare and Radioactive Metals and also evaluator of different research project at national or international level. Clad materials are a variant of the typical composites, which consist of two or more materials joined on their interface surfaces. Clad materials as metallic composite materials are developed for the needs of user because the single metal often cannot satisfy it application conditions. That is, the advantage of clad materials is that the combination of different properties of materials can satisfy both the need of good mechanical properties and the demand of users such as industrial consumer. The purpose of this study is to study structural aspect in aluminum 3003 clad material with 4004 and 4045 alloy, after different cladding time. Generally, Al 3003 material is Al−Mn alloy which has superior ductility, but the strength and hardness are low. Al series 4xxx material is Al−Si alloy which has high strength and hardness, but the ductility is low.